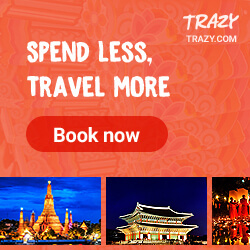 Summer may be over but the intense Manila heat is here to stay, rain or shine. And with the scorching heat draining my energy and perhaps even my positive outlook in life, I need a cold treat on a daily basis. One of my favorites is gelato as its creamy texture never fail to make me smile from ear to ear. Hence, when I found out that Morelli's Gelato has something new in store for us, I had to know what's up. 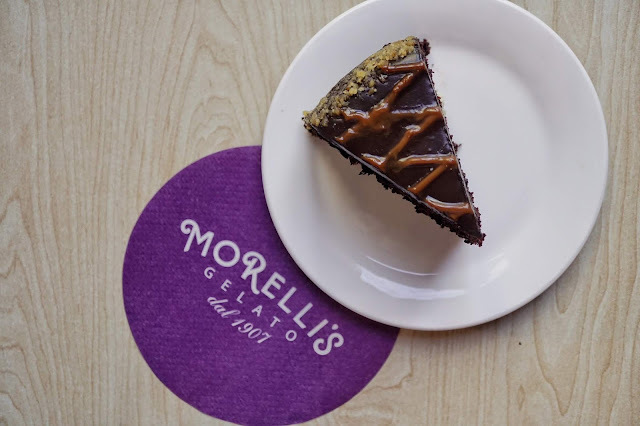 Morelli's has been in Manila for about five years now with its first store at Shangri-La Plaza Mall's East Wing. 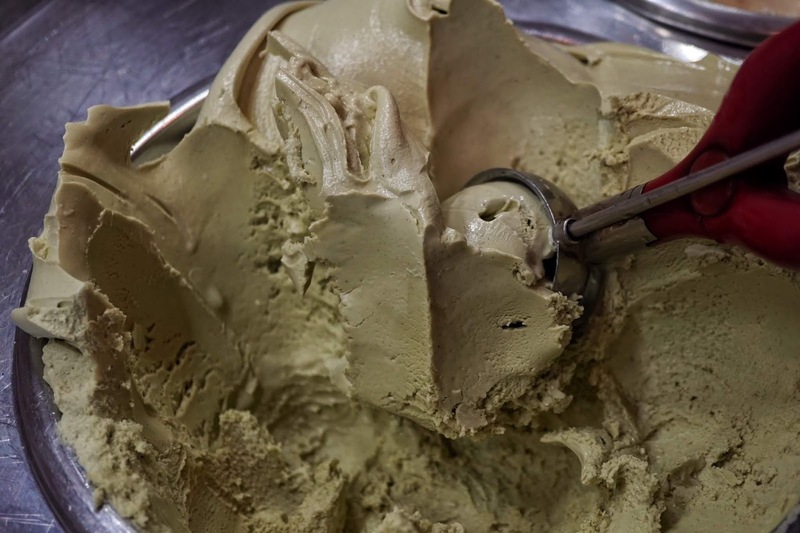 A brand known for gelato, it actually has an interesting story behind each scoop sold and it could be traced all the way back to 1907. Mr. Giuseppi Morelli moved to England from Italy in 1907 and decided to sell homemade Italian Gelato from the back of his bicycle and pedal around town. He eventually established a shop in Broadstairs 25 years later on the exact same spot where his bicycle then stood. 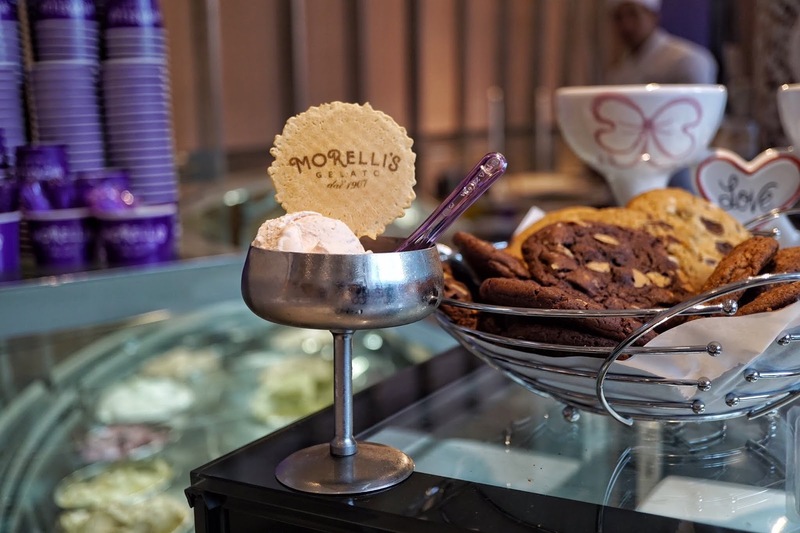 But it took him another three years before Morelli's Gelato expanded locally and turns into a coffee chain which landed a spot at the iconic Harrods of London. 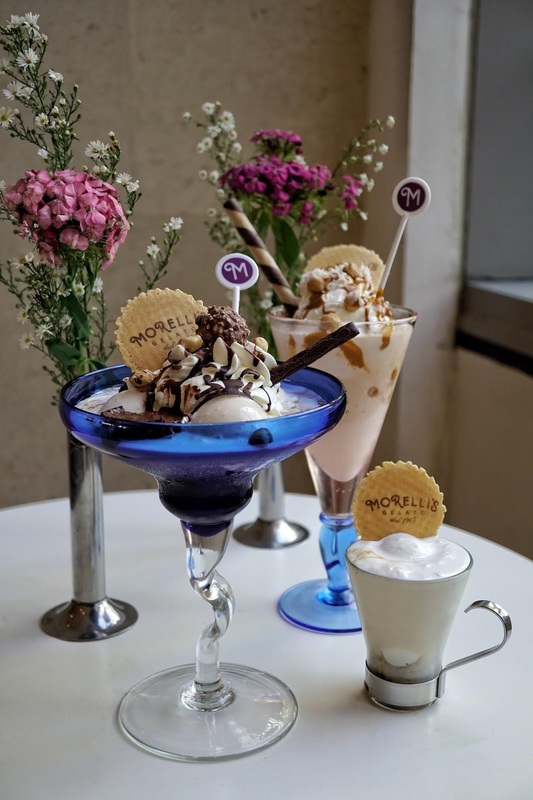 And in 2003, Morelli's Gelato went beyond England and opened stores internationally through franchise and is now present in exclusive locations worldwide, with two here in Manila. 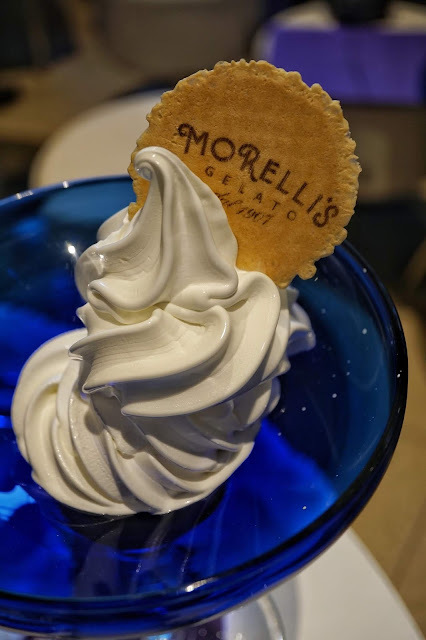 I've known Morelli's Gelato as a frozen treats shop but this year, it has evolved to cater to more than just your sweet tooth cravings. 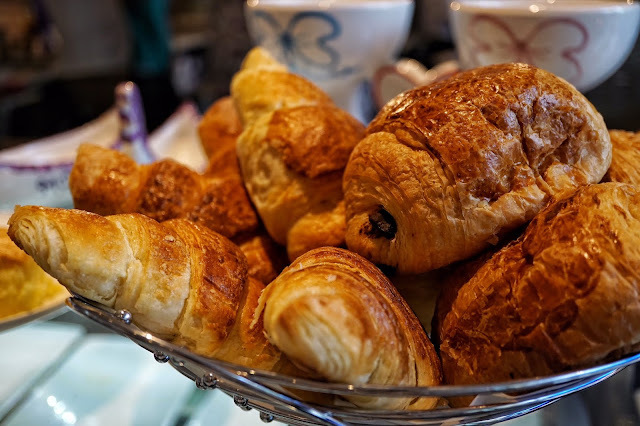 It is now a café! I started off with a scoop of papaya gelato which Chef Gino freshly made that morning. He also made jackfruit with cashew after seeing some fresh fruits in the market. Apparently, it only takes about an hour to make gelato. And... it was great! It tasted just like papaya and it had the perfect level of sweetness. This sure impressed me as I've never had papaya gelato before. I then tried some of the items offered in the new Morelli's Gelato Caffé, Smoked Salmon with Red Onions & Cream Cheese, New York Cheesecake, and Choco Dream Cake. 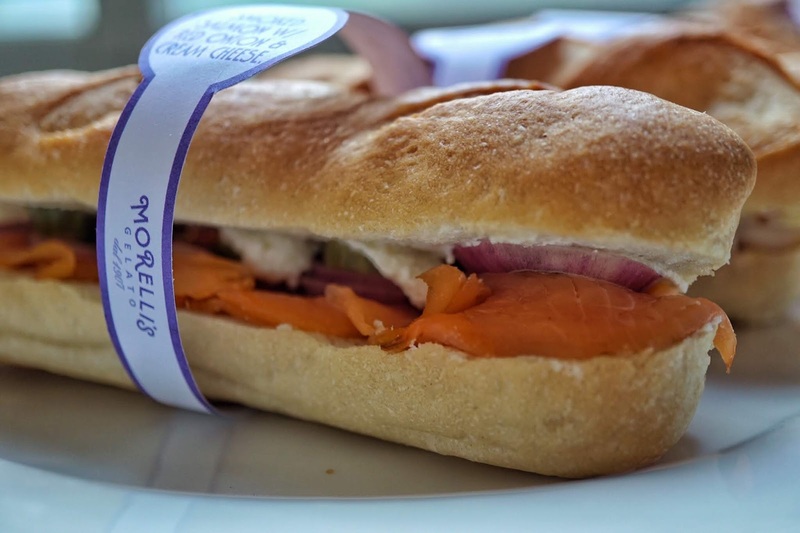 I have an intense love for anything with salmon and Morelli's sandwich sure did not fail me with its generous serving of smoked salmon slices topped with red onion rings sandwiched in a baguette with cream cheese. I was surprised how filling it was! 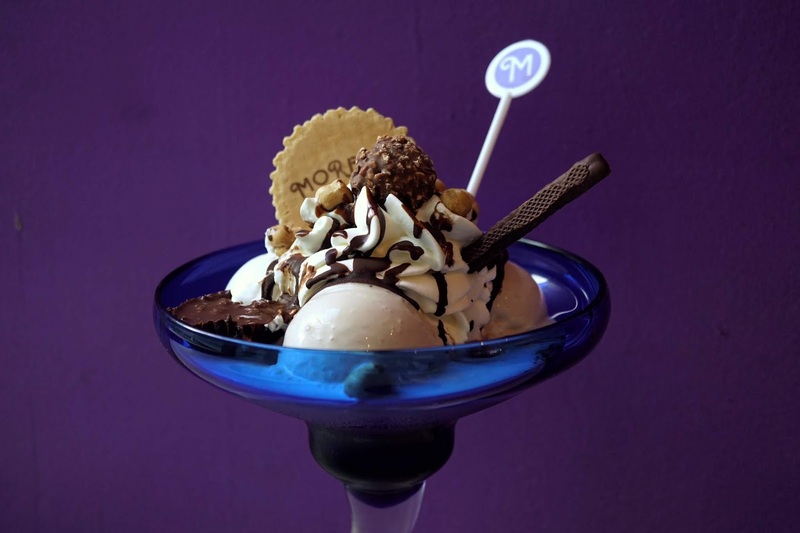 This is best paired with one of Morelli's good selection of drinks. 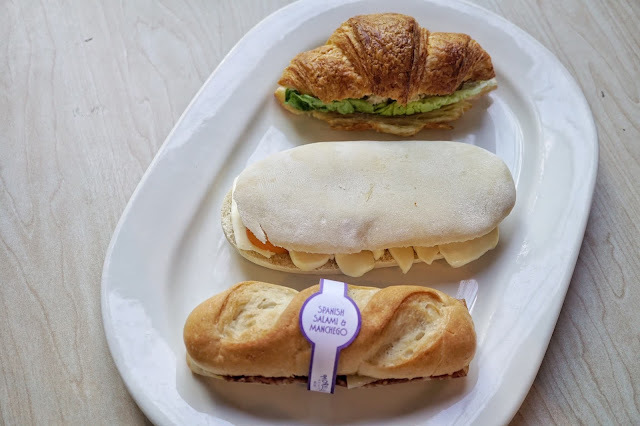 There are also other premium sandwiches to choose from and I can't wait to try its Prosciutto & Cantaloupe Melon sandwich! 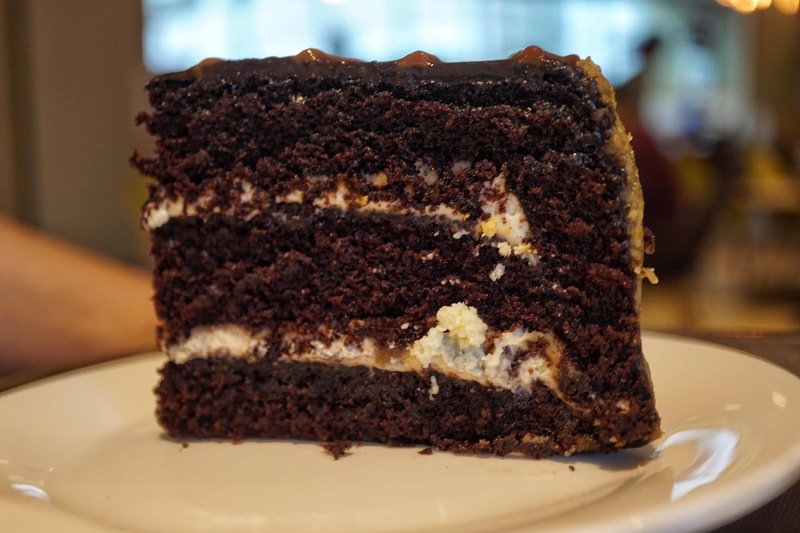 Choco Dream Cake is indeed a dream. Moist and chocolatey, this is something foodies with serious sweet tooth would enjoy. 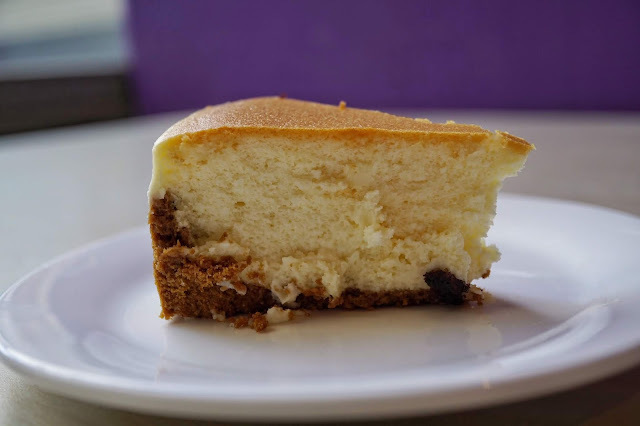 But I prefer New York Cheesecake which has the perfect consistency and texture. 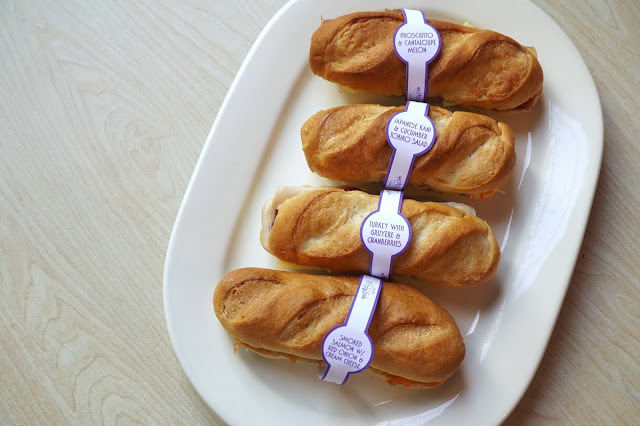 Quite firm compared to the ones I've had in the market, I also love the sharpness of the cream cheese. Though it would have been better if the crust had more crunch, I wouldn't mind grabbing another slice of this delicious cake. 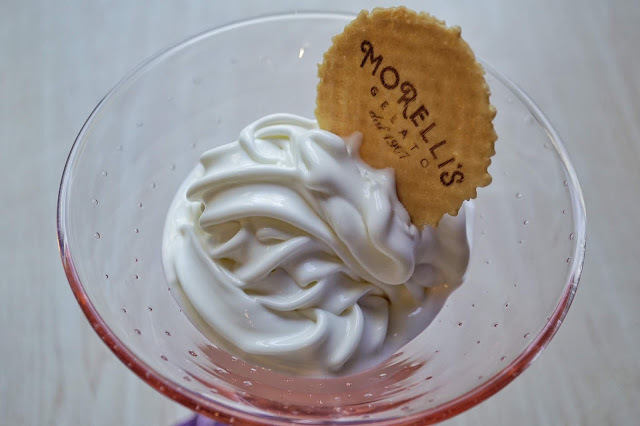 Morelli's also offers soft serve ice cream which I found perfect for those who are not too keen to indulging in sweet stuff. 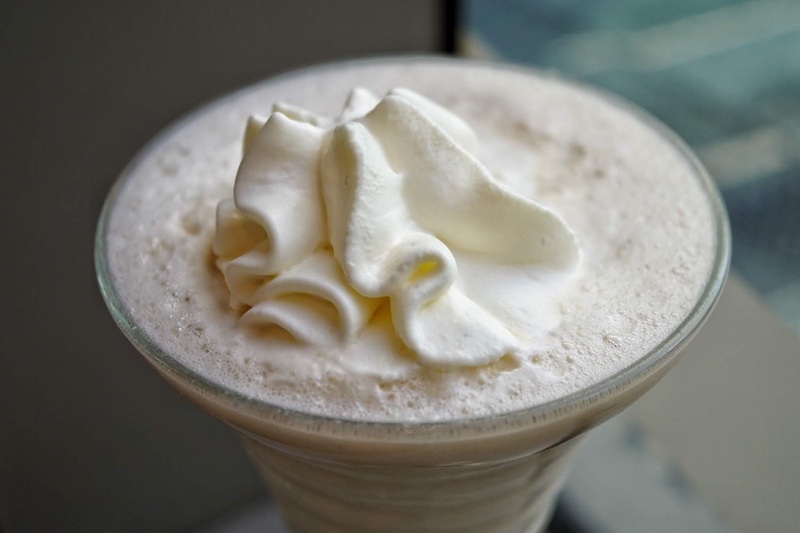 Mild yet refreshing, this serving of Vanilla Soft Serve is a lovely option for dessert! And if you want something healthier, they also offer yogurt! Morelli's version has that nice tangy flavor that I look for in yogurt. 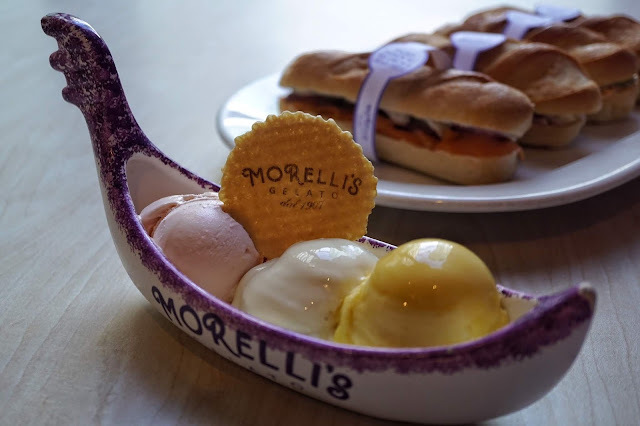 There are still so much dishes I have to try at Morelli's and I will definitely be back for more! 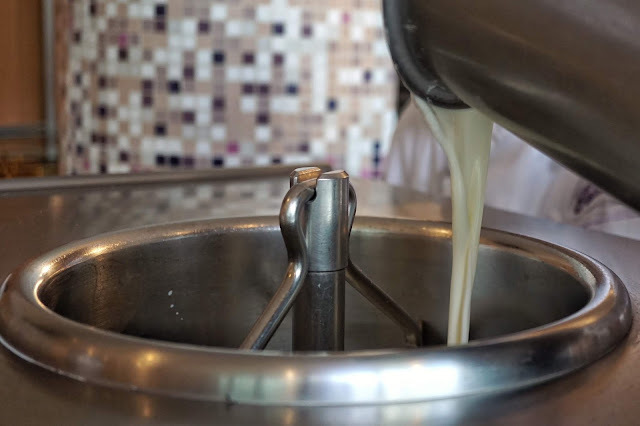 Trivia: Morelli's Gelato uses premium whole milk instead of cream making its gelato taste creamier and a lot fresher and smoother. It being milk-based also makes Morelli's Gelato free of hydrogenated fats making it easier for the body to digest! Also, despite being a gelato brand, it doesn't have a store in Italy as Mr. Morelli migrated to England when he started selling gelato. But his recipe is based on the Italian way of making this delightful dessert. 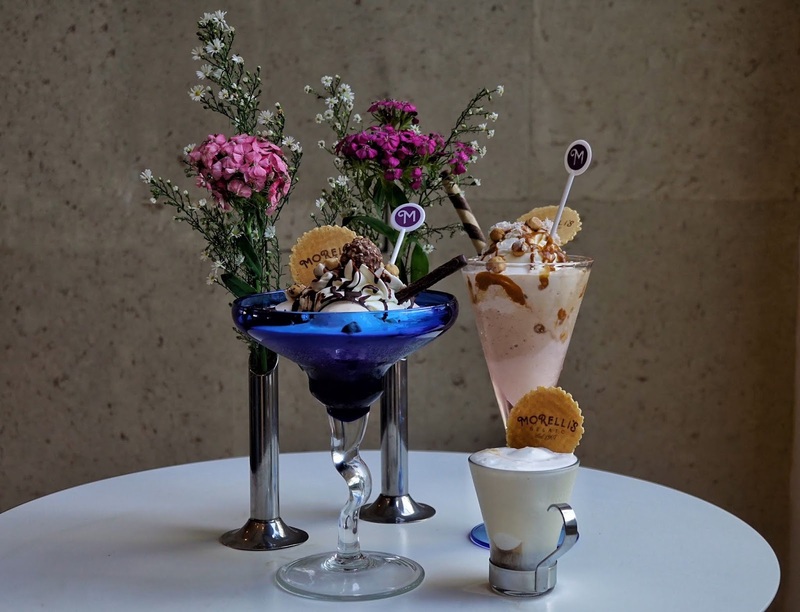 Morelli's Gelato Caffé is located at 2nd Floor, East Wing, Shangri-La Plaza Mall, Mandaluyong City. 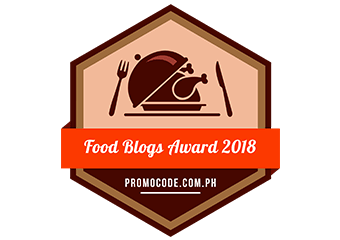 It also has a branch at R1 Power Plant Mall, Rockwell, Makati City.